No debate. Rolex is nowadays the “king of watches“. It might easily be the most influential, most known and most collectible watch brand to date. According to Forbes, “Rolex is the leading name in luxury wristwatches” and the most valuable brand only focused on watchmaking. There are dozens of histories and rumors about the brand and yet, even with such influence, some facts are still unknown from collectors. 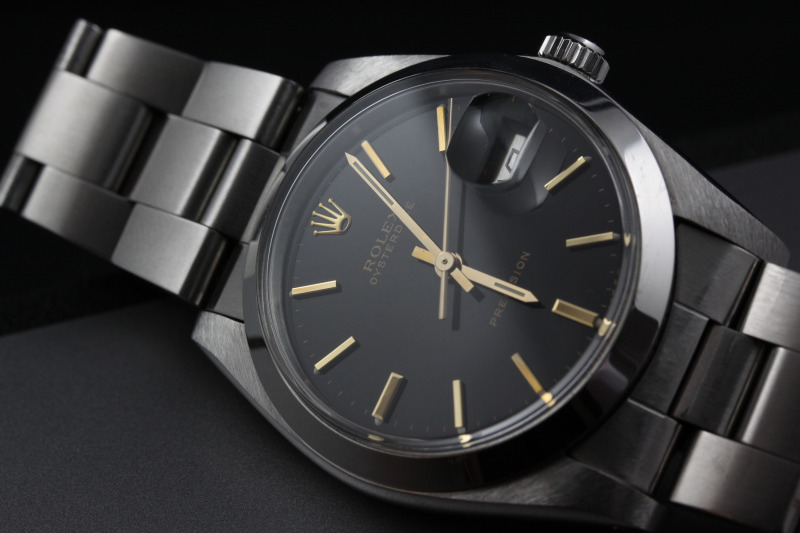 Here are 5 facts every watch lover should know about Rolex. Rolex certainly is one of the best examples of what the Swiss industry produces. Indeed, when you ask the average person to name Swiss brands or watch brands, Rolex immediately appears. For most of the non-affcianado, Rolex is Swiss. End of the story. This is true… nowadays. Because, as surprising it might be (at least for some, as many know about the origins of the brand), Rolex isn’t born Swiss. While brands like Omega or IWC have been created on the foundations of a manufacture, later transformed into a commercial entity, Rolex did the other way around. The Rolex company stayed active in London for 14 years, until 1919. Indeed, shortly before that, the brand started to manufacture a few parts in-house. Yet, they quickly discovered that Switzerland was the best option when it comes to production of watch parts. 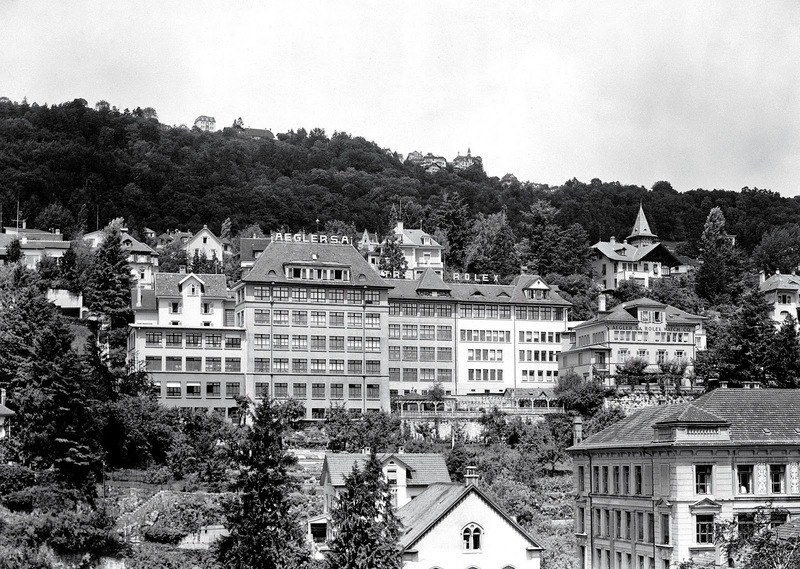 This is why in 1919, Rolex moved to Geneva, where the headquarters are still today. 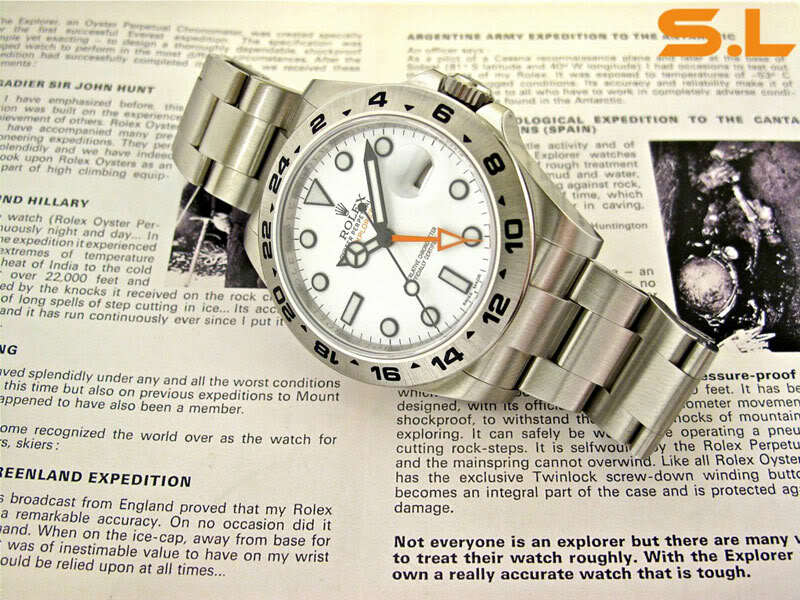 In 1920, the company Rolex SA is registered. 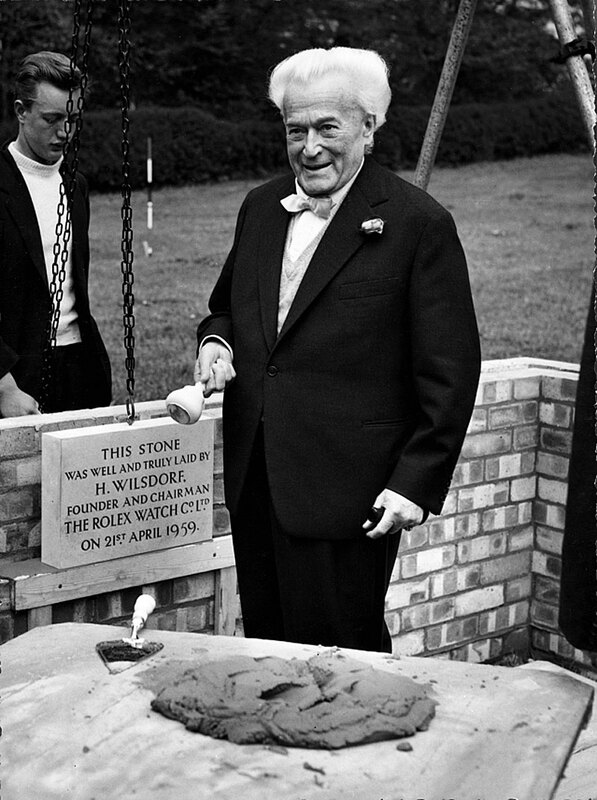 One of the last public appearances of Hans Wilsdorf, in 1959. Another probably unknown fact about Rolex, which explains why there are still some questions about the brand and why no revenues and production numbers are public, come from the very legal form of Rolex. Indeed, what many think to be a commercial entity is actually under the umbrella of something rather unexpected. 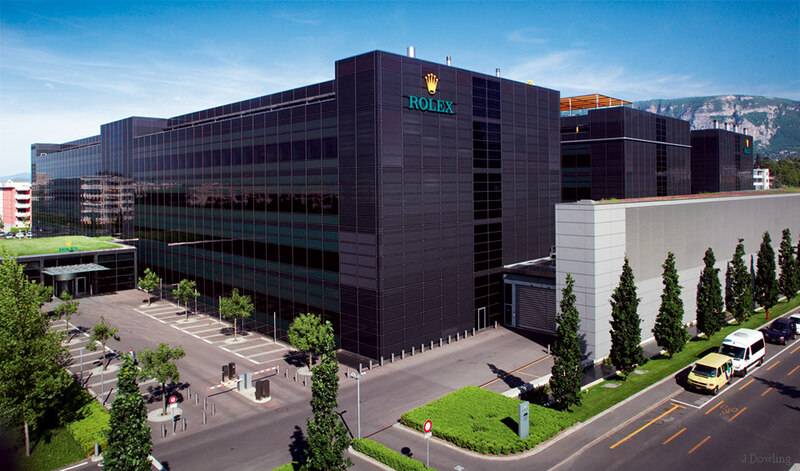 Rolex SA (for Société Anonyme, meaning limited company), the firm registered in 1920 in Geneva, is the commercial entity, which holds all the production and retail sites. Yet, unlike most companies of that size, Rolex is not publicly listed, neither it is owned classically by private shareholders. On top of the company is a charitable organization, the Fondation Hans Wilsdorf, a private foundation under Swiss law, established Place d’Armes 20, Carouge, Switzerland (near Geneva, Switzerland). It is the exclusive owner of Rolex Montres SA. 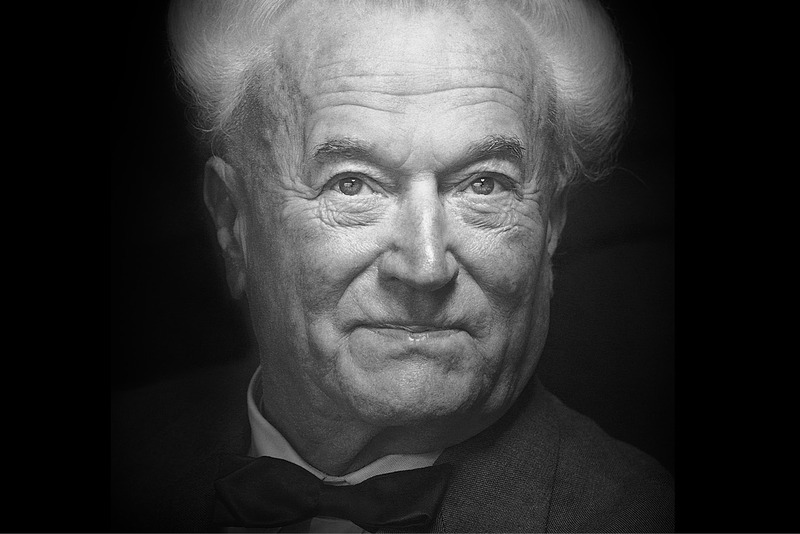 When his wife Frances Florence died in 1944, Hans Wilsdorf founded the Hans Wilsdorf Foundation, which he registered as a charitable organization. Later, he transferred all ownership shares of Rolex to the foundation with detailed instructions on how to handle the finances. The first goal of the foundation is to ensure the sustainability of the group. 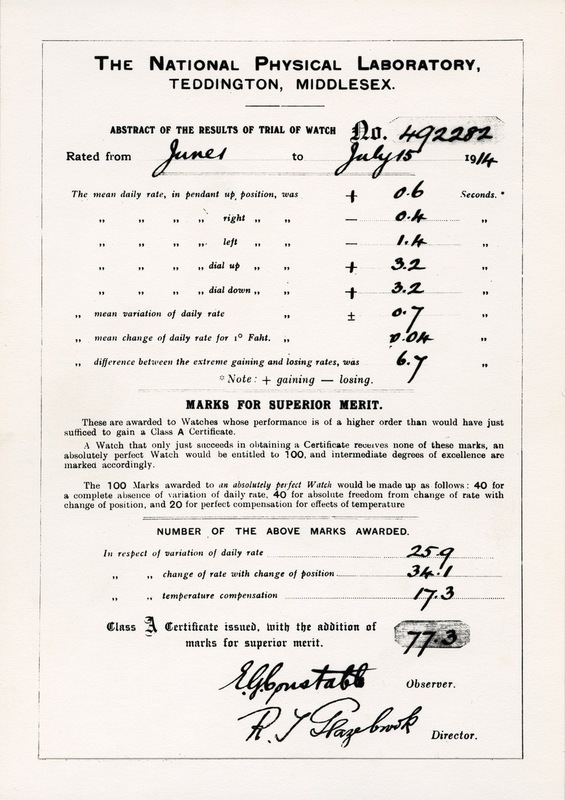 It also allocates “Donations to various charities and patronages listed in the founding act as well as to the École d’Horlogerie de Genève, the École des Arts Décoratifs de Genève, to the Faculty of Economics and Social Sciences, University of Geneva, to the Swiss Watchmaking Research Laboratory (Neuchâtel) and to provide the nephews and nieces of the founder and their descendants with allowances for their upkeep, education and upkeep of their children.” The company says it likes to keep its donations completely anonymous (which is also the case for all numbers linked to the exploitation of Rolex SA). Rolex is a rather unique story in the Swiss watch industry. Indeed, from the very beginning, its business plan differed from the rest of the watchmakers. Take for instance Rolex’s largest competitor, Omega Watches. For them, everything started with a manufacture named “Louis Brandt” and based in La Chaux-de-Fonds. During these early days, all watches produced were sold under this name. It’s only later, under the influence of his two sons, that Louis Brandt had the idea to create a commercial brand, named Omega. Production before sales was the business model of the company. Rolex started the other way around. As Wilsdorf and Davis was not based in Switzerland, they could hardly produce watches, however they wanted to commercialize them. Thus, they created a commercial entity with a strong name, Rolex. The idea of production came later, in fact much later, as for several decades, Rolex mostly relied on suppliers to build its watches. 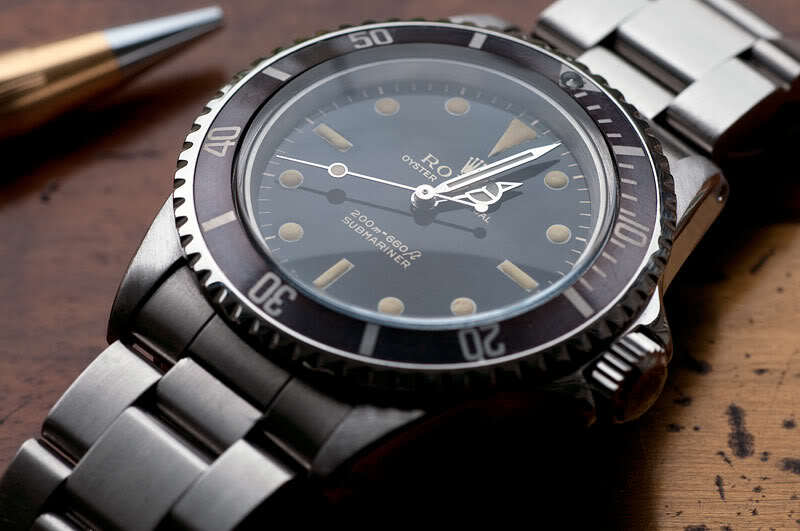 If nowadays Rolex is an entirely integrated manufacture, certainly one of the manufactures that produces most parts of a watch, this situation only came after Rolex acquired several of its sub-contractors. It was Patrick Heiniger (third CEO of the brand, who took over the position in 1992, after his father André Heiniger) who really started the integration strategy. Under his direction, many companies have been integrated to Rolex. Genex, one of the largest case makers, were one of the first to be bought. Later, in 1998, Rolex acquired the bracelet-maker Gay Frères, a company that is famous for the Heuer beads of rice bracelet and for the bracelets of the Audemars Piguet Royal Oak, and of course for being the ones to manufacture most of the Oyster bracelets for Rolex. 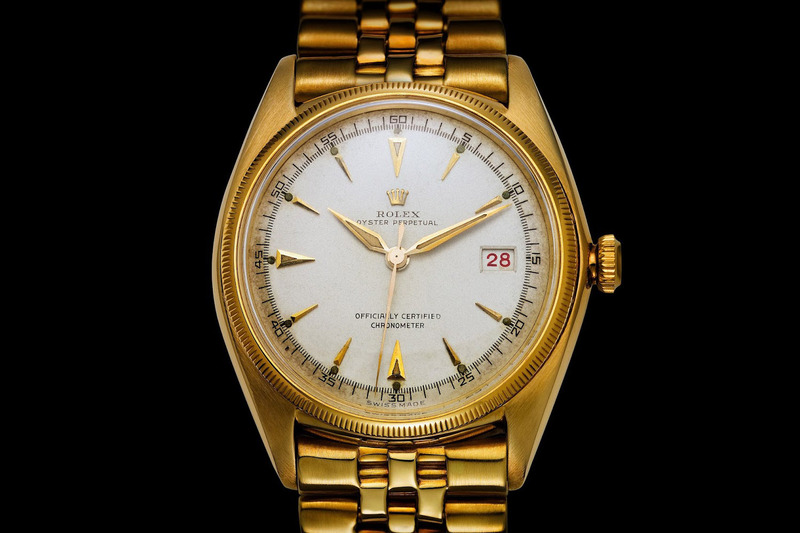 In 2000, Rolex took over Beyeler, a “cadranier” or dial-maker. The brand also integrated companies such as Boninchi, the largest supplier of crowns for Rolex since 1919, or Virex et Joli Poli, case-finishers (polishing mainly). Yet, the most interesting part comes from the movements. For most of us, it was assumed that Rolex was producing their own calibres, unique to the brand, and of course in-house. Well, if this is not entirely wrong, the story is much more complex. Indeed, one name must be considered: Jean Aegler. Under this name is a Swiss watchmaker (1850-1891) based in Bienne. His manufacture was specialized in manufacturing small movements, especially for ladies watches. He achieved to create a 20mm diameter movement, which was at that time rather impressive. Most of the manufactures were still producing 40mm or 50mm movements, intended to be fitted in pocket watches. Because of this expertise, which could fit the idea of Rolex to sell wristwatches only, he was selected by Hans Wilsdorf in 1901 (thus, before the incorporation of Rolex in London) to become the brand’s unique supplier of movements – a situation that remained true for decades, Rolex only outsourced elsewhere for the chronographs (Valjoux). Movements by Aegler were small enough and mainly known to be highly precise (something that definitely helped Rolex later, in their need for precision). Even if this company mainly produced for Rolex, they were not owned by the brand, but remained under the control of the Aegler/Borer family. 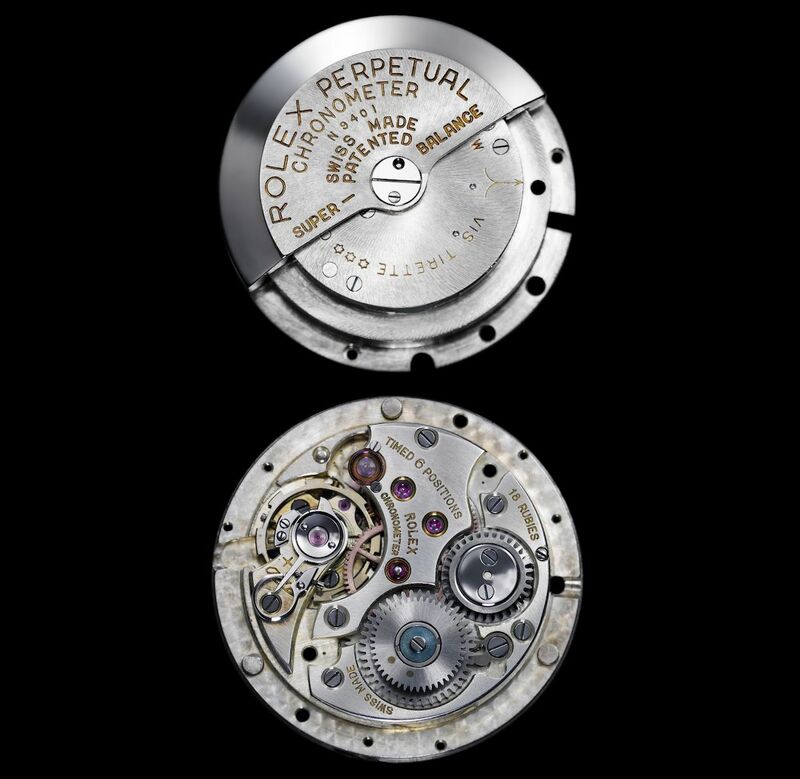 This Rolex/Aegler situation, where movements were actually not properly in-house produced, remained true for close to a century – from 1905 to 2004. After a few years, seeing that business blossomed for both parties, the relation became much closer. 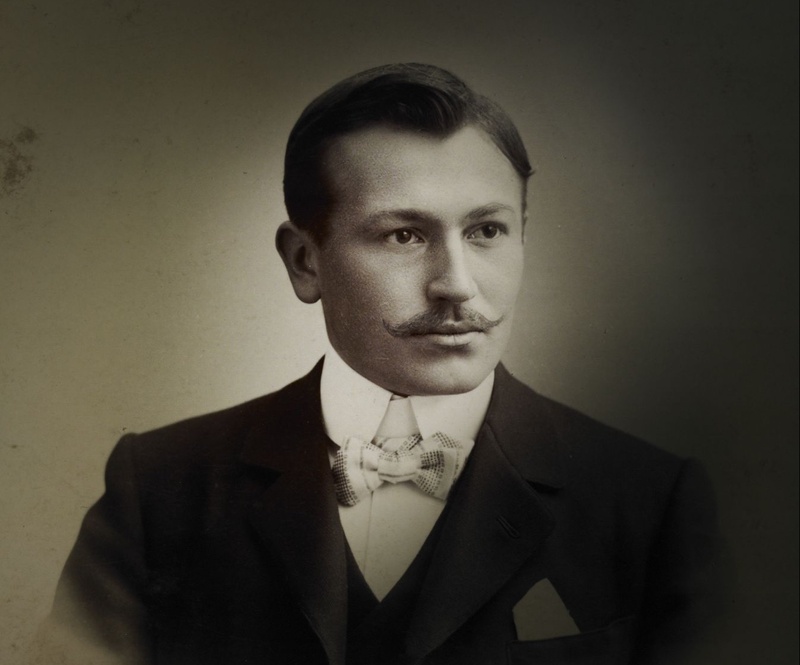 Indeed, in 1920, Hermann Aegler (one of Jean Aegler’s son) became one of the owners of Rolex and was appointed to the board, along with Wilsdorf and Davis. Late 1920s, the opposite situation even reinforced the link between Rolex and Aegler, when both Rolex & Gruen (the second largest client of Aegler) purchased shares in Aegler, which was then renamed “Aegler, Society Anonyme, Manufacture des Montres: Rolex et Gruen Guild A”. This is why you can find antique images of Aegler’s production site with Rolex logo on the roof. 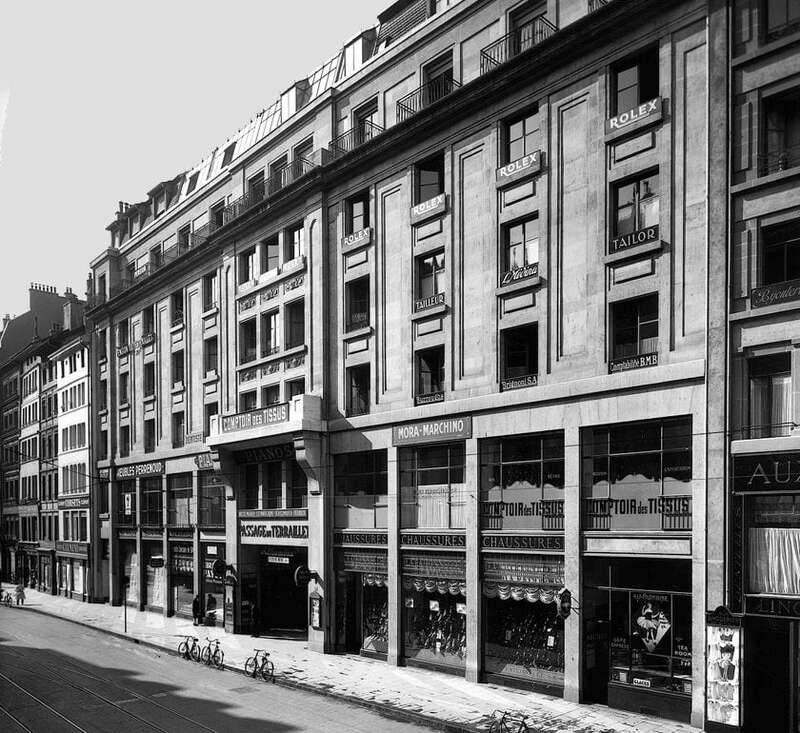 End of the 1930s, Gruen sold back their shares in Aegler and, quite simultaneously, Rolex did the same – simultaneously with this, Aegler sold their Rolex shares back to Wilsdorf. In short, Rolex was back entirely in the hands of Wilsdorf and his wife, and Aegler was back in the Aegler/Borer family. Still, the situation in terms of business was remaining very positive and Aagler continued to deliver movement to Rolex. In fact, the Aegler factory was even renamed “Manufactre des Montres Rolex SA“. To that point onward, both parties had a mutual agreement. Rolex couldn’t buy movements from another manufacture and Aegler couldn’t not sold to another watch brand (to the exception of chronographs, not done by Aegler). So, in terms of production, Rolex movements were exclusive and produced by a manufacture named Rolex. 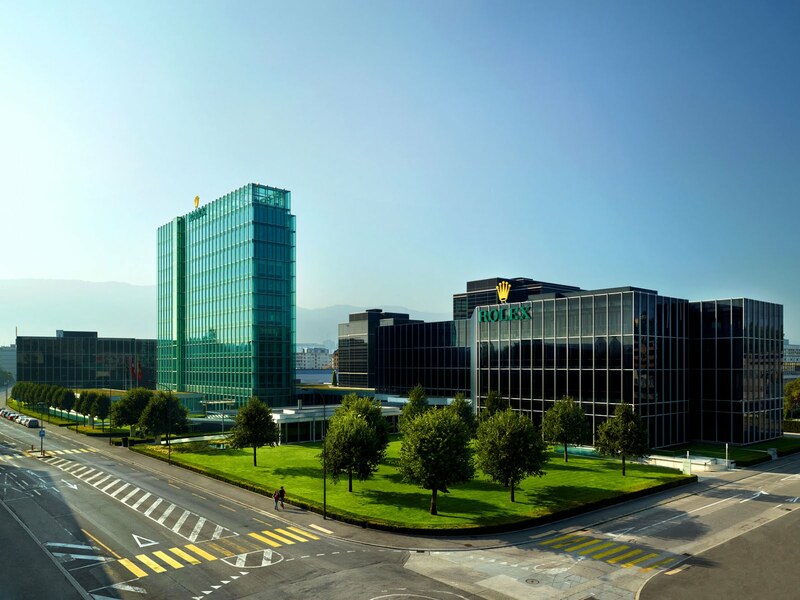 Yet, it is only on 26 March 2004 that Rolex officially took control over Aegler/Rolex Bienne to integrate it to the brand’s portfolio (see Timezone for even more details). 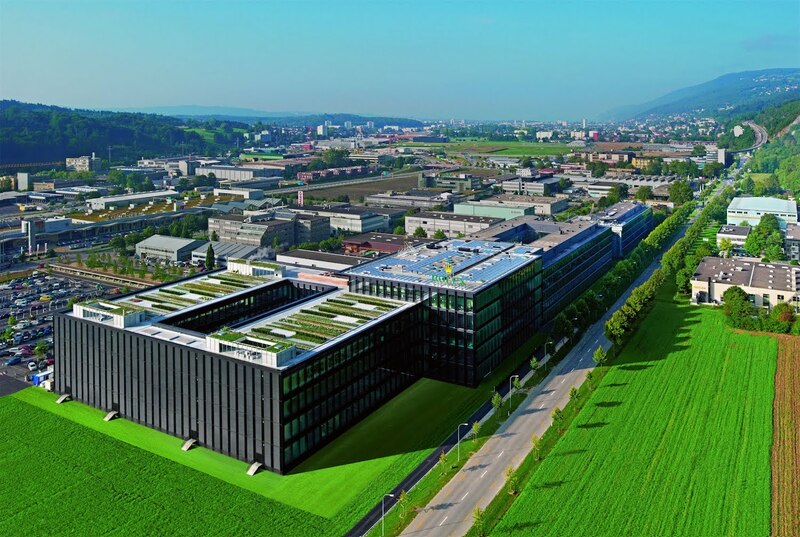 At a certain point, Rolex had over 25 productions sites, which have been now all integrated in only 3 mega-factories: Bienne for the movements, Plan-les-Ouates for the cases, bracelets, the in-house foundry and finally Les Acacias, Geneva, for the assembly and final testing (which also happens to be the administrative HQ of Rolex and Tudor). While some brands are fighting for the lightest, the most shock-resistant or the most complex watch ever created, Rolex actually never entered that game. Yet, they have always been strong innovators and still today, dozens of patents are registered by the brand every year – which doesn’t mean that all will see an application in a watch but it proves how productive the Rolex Research Laboratory is. On the other hand, Rolex has always innovate, in a very discreet way, focusing on practicality and user-friendly inventions, making their watches more practical, more resistant, more useable, more functional, with in mind the usual “one watch, one purpose” concept. 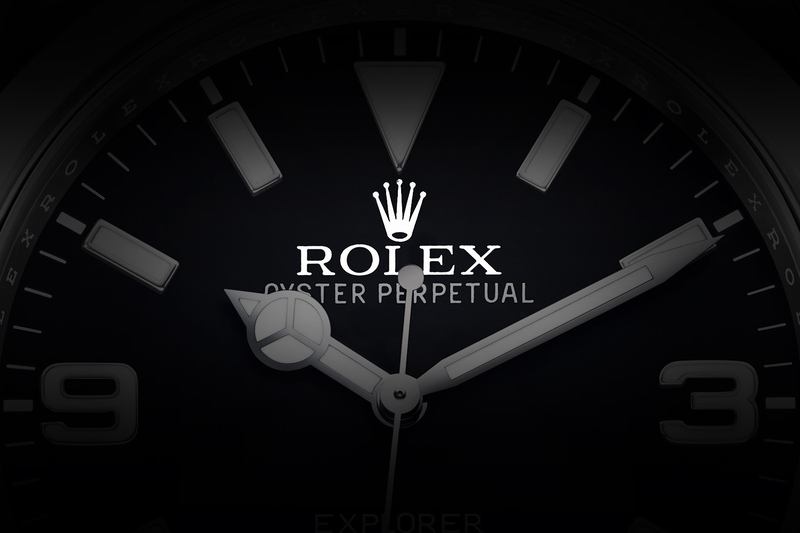 Here is a list of the most noticeable innovations by Rolex, and do keep in mind that this list is far from exhaustive. First wristwatch to be chronometer certified (1910, Obervatoire de Montres Suisse, to become COSC). Based on a reliable movement from Aegler, Rolex was indeed the first manufacture to meet with the standards of COSC for a wristwatch. Back then, only pocket watches could achieve such precision, and it is only because of the expertise of Aegler in terms of miniaturization that Rolex could achieve this. First waterproof wristwatch – The 1926 Rolex Oyster was the first-ever completely hermetic and waterproof wristwatch, protecting it not only from water projections but also from dust and humidity (and thus from rust). What sounds like now a standard feature was at that time a profound revolution. 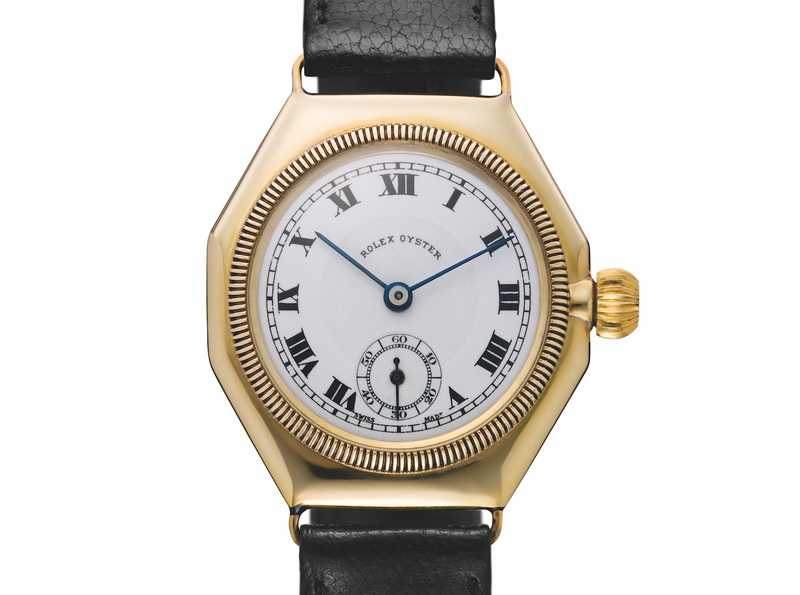 First wristwatch with perpetual rotor (Oyster Perpetual, 1931). Then again, no drama and huge complications. Yet, Rolex were the first to introduce the automatic winding with a perpetual rotor on a wristwatch (meaning rotating freely and not having a bumper style). First watch with an automatically changing date on the dial (1945, DateJust) Again, a feature that sounds standard, however, Rolex were the first to introduce a date displayed in a window (and not displayed by a hand in a sub-dial) and to automatically jump at precisely midnight. Rolex has been part of the group of 21 brands to develop the first Swiss quartz movement, the Beta 21. Yet, to the exception of one single collection (the Osyterquartz) Rolex uses only mechanical movements, even for the smallest ladies watches. Current collection doesn’t show a single quartz watch. From the early days, the goal of Hans Wilsdorf has always been to bring precision to the wristwatch. When he created Rolex, he was convinced of the incoming success of the wristwatch (which, in 1905, was only at its very beginnings. Remember that the first commercialized wristwatch was the 1904 Cartier Santos). The main issue was that most wristwatches at that time were not precise enough, especially compared to large pocket watches and their chronometer movements. Hans Wilsdorf, from the early days of the brand, dreamed about the fusion of precision and practicality. And what has been true at the beginning remains today the motto of the brand. Having a wristwatch movement that was from superior precision was quite a challenge back in the early 1900s. Indeed, because movements were manufactured by hand or by hand-controlled machines, precision of the engineering was relative. Thus, tolerances on the dimensions of parts for example were entirely different that what we can see nowadays, with parts that are done on computer-assisted machines. And in watchmaking, precision of the machining plays a huge role in precision. This is why, in the 1900s, all chronometer certified timepieces were pocket-watches or Marine Chronometers. This meant much larger movements and thus less rigorous tolerances on the machining. Yet, as we’ve seen, Rolex has always been associated to Aegler for the movements, simply because this manufacture was on of the very few to master the concept of miniaturization and certainly, at that time, the only ones to be able to bring the desired precision in a movement measuring less than 25mm diameter. This strategy proved successful in 1910, when Rolex achieved to be the first brand to have a wristwatch chronometer certified. Later, in 1914, the Kew Observatory in Great Britain granted a “Class A” certificate to a wristwatch for the very first time (45 days of tests, in five different positions and at three different temperatures – ice-cold, oven-hot and ambient). For the first time, a wristwatch fulfilled the requirements expected of the best marine chronometers. This major achievement by a small Rolex watch is one of the reasons of the upcoming success of the brand. By the early 1950s, Rolex had manufactured nearly 90 per cent of all chronometers officially certified in Switzerland since 1927 — the year specific criteria for wristwatches were introduced. When, in 1951, the regulations changed and it became compulsory to obtain chronometer certification from an official body, Rolex went further and made sure its movements obtained COSC certificates bearing the citation “particularly good results”. 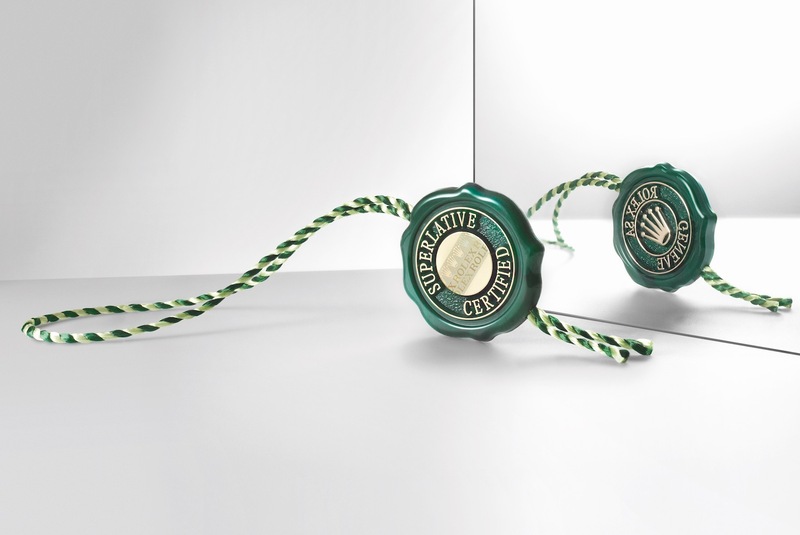 Today, all watches produced by Rolex, whatever the collection, are chronometer certified. Rolex is the largest manufacturer of chronometer-certified watch movements in the world. 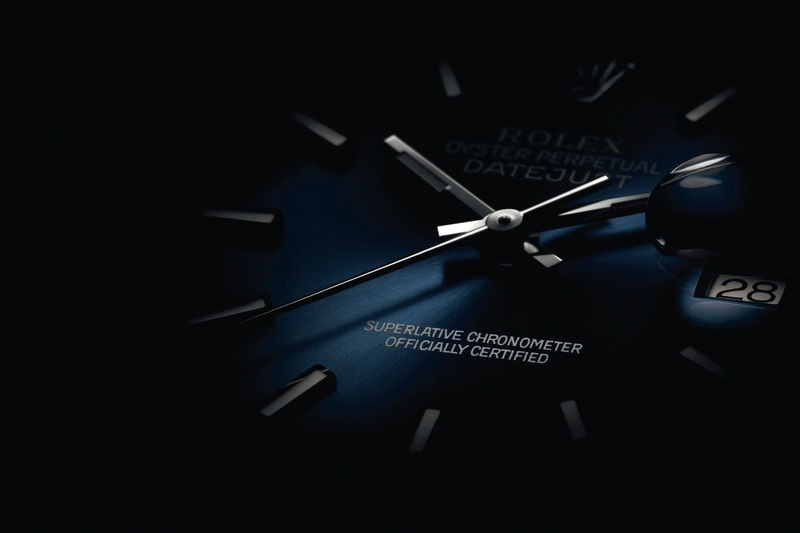 In 2015, Rolex even went further, by adding to the COSC tests its own, internally done, series of tests – watches now becoming some “Superlative Chronometer Officially Certified“. While movements alone are still tested by COSC, for their precision and power reserve, Rolex adds a drastic series of tests on the finished watches (and not the movement alone), for the reliability, the solidity, the water resistant and the precision, as the if the watch was worn. 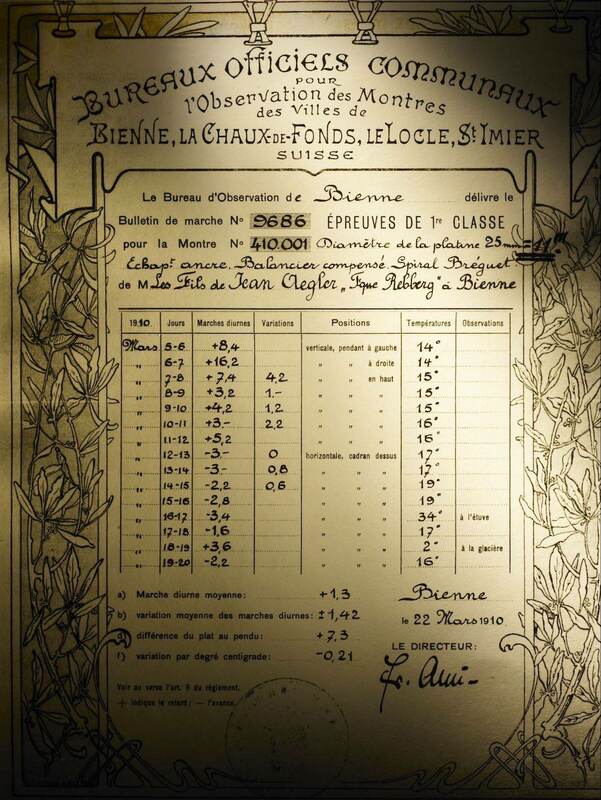 While COSC requires -6s/+4s per day of deviation, Rolex internally certified all its watches at -2s/+2s per day. As we’ve seen, it took Rolex years to become a proper integrated manufacture – and certainly one of the most integrated you can imagine. Few brands can compete with such a level of in-house production, as clearly, the “crown” does almost everything internally, in their own way, and as collectors know, with a very specific nomenclature. Own foundry for gold, plus own, exclusive alloy for pink gold (Everose gold) – Rolex is one of the largest users of Gold in Switzerland, and to make things a bit different, they do own their own foundry, where they are able to create their won alloys. 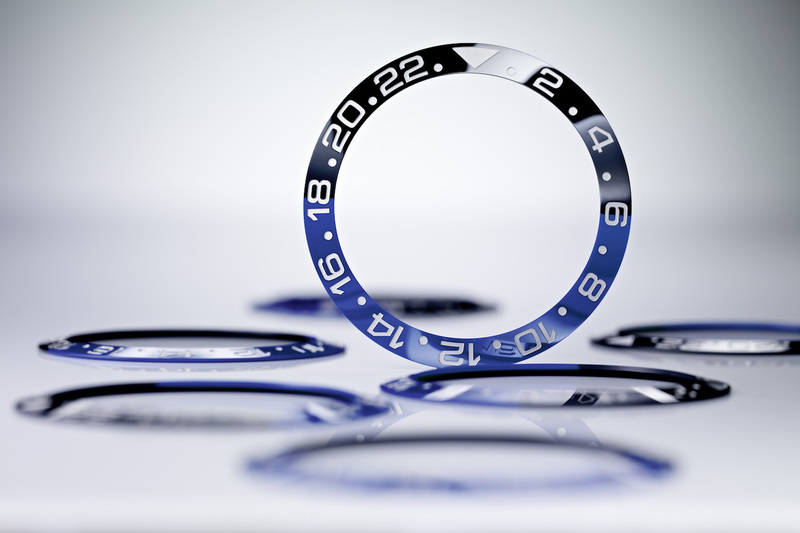 Own ceramic bezels (Cerachrom) Rolex was one of the first brands to introduce ceramic bezels. The first model to feature it was the 2008 GMT-Master II. 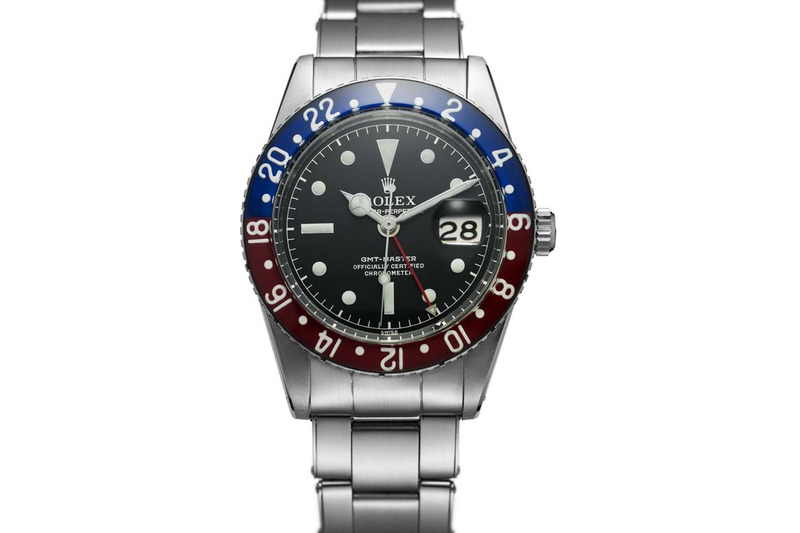 After featuring watches with monochromatic bezels (black mostly, with platinum or gold PVD inscriptions), Rolex achieved with the GMT-Master II BLNR to combine a different color (blue in this case) to black in a single block of ceramic (these two colors are obtain via a localized chemical treatment, not by merging two different parts). 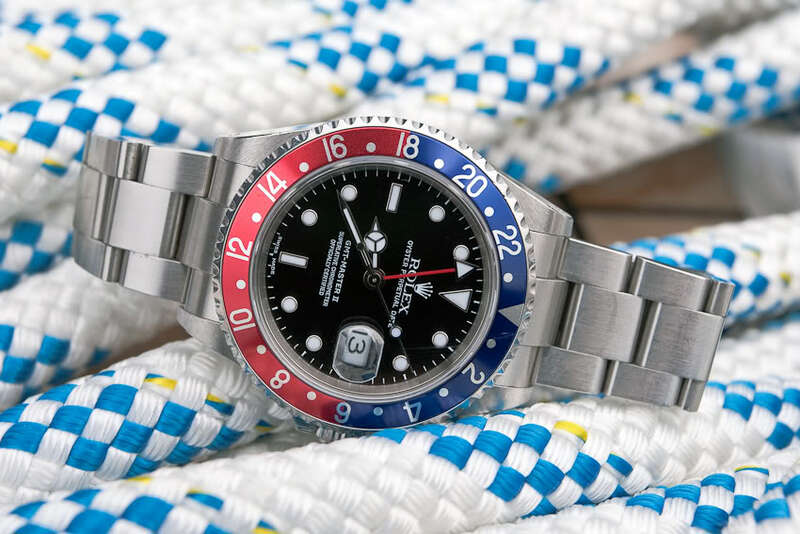 Later again, Rolex achieved to have two colors, blue and red, on a single block of ceramic, with the GMT-Master II BLRO “Pepsi”, a watch launched in 2014. 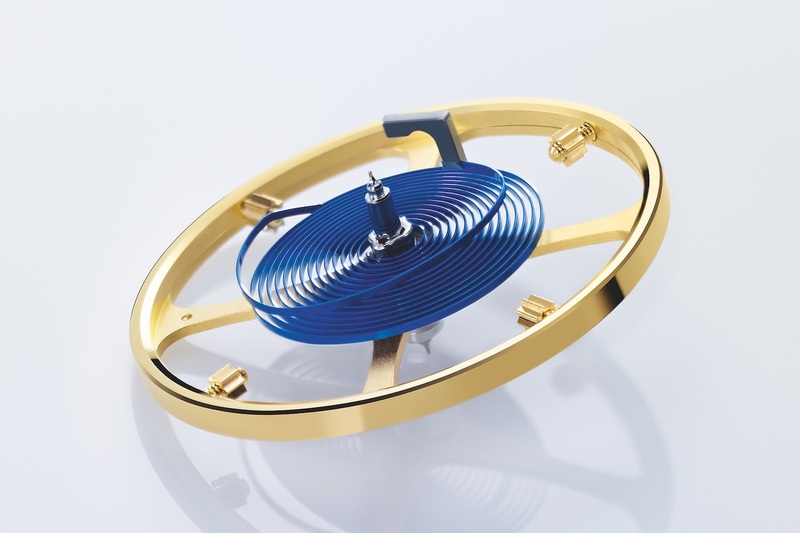 Own alloy for the hairsprings (Parachrom) the “blue hairspring” is one of Rolex’s inventions, made in a paramagnetic alloy and crafted in-house by the brand. 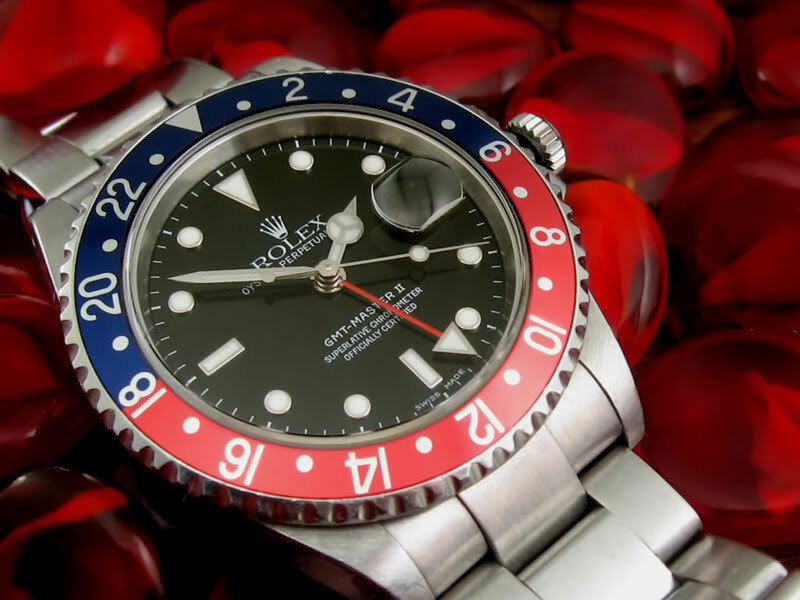 Own luminescent paint (Chromalight) on the contrary of most watch brands, Rolex does not use the standard Luminova paint but use a proprietary blue luminous paint that has a longer and brighter luminescence in the dark. A brilliant article! No wonder the are held in such high esteem. Thanls kor this very interesting article! Interesting but nothing new here. For heaven’s sake, please use a copy editor. Your verb tenses and vocabulary need help. I just purchased my first Rolex, the latest Explorer, yesterday, so the timing of this post is perfect. Very interesting information. Thanks. BTW, I would be happy to edit your articles before they are posted. They appear to be written in another language first, then translated to English. Verb tenses are sometimes scrambled, word orders mixed, etc. Let me know. Thanks! Something is not right about your verbiage. Condensed and concise, yet provides new historical details about Rolex. Rolex watches are all 100% machine made and assembled. I believe that this should be made clear on any editorial about the brand given that some people were lead to believe through some advertisements that Rolex were all handmade which is totally incorrect. “Rolex watches are all 100% machine made and assembled” DEAR PATRICK: https://www.hodinkee.com/articles/inside-rolex I wonder what in the hell all those people in all those rooms are assembling? Thanks for this excellent summary about this iconic brand that has a well-deserved reputation developed from close to a century of making outstanding timepieces. I am definitely a proud owner. thanks for this brilliant article, I’ve got some new information on the brand that raise the level of respect I have for Rolex. However, despite the innovations Rolex introduced, I can’t consider it as a high horologery brand.Too many aspects of high watchmaking are missing I’m afraid. I’ve been wearing Rolex for over 35 years and they have never failed me in any way. I can’t think of any purchase I’ve made that has performed that well and has left me enjoying it even more decades later than the initial joy felt on the day it was purchased. I have been wearing a Rolex Oyster Perpetual Date Stainless since August 1963. Actually paid $154.00 for it in Tripoli, Libya and still have the receipt and papers that came with it. With all their innovation and toughness, Rolex couldn’t make a chronometer that could survive the NASA Test? I like Rolex a lot, and they are really good watches, but this article is spreading a bunch of falsehoods that are the result of Rolex advertising and not actual history. This is not correct. The Submariner didn’t make its official début until 1954 at the fair. The Blancpain 50 Fathoms and the Zodiac Seawolf made their début in 1953 at the fair. And just so there is no confusion, the lowly Zodiac Seawolf had a rating of 200m right from the start in 1953. Also not correct. The first watch to do that was the Glycine Airman of 1953. A watch which would later be on the wrists of astronauts side by side with their Omega Speedmasters, though we only have photo evidence of this as Glycine never capitalized on this. But at least there isn’t the often repeated false claim of Rolex and the Everest expedition, as all evidence shows Sir Hillary wore his Smiths to the summit. All of my rolex’s will go to my grandson, and hopefully to his grandsons. Wonderful timepieces. The devil is in the detail first ‘waterproof’ watch not water resistant. Rolex/tudor use the words waterproof claim by the oyster case. Marketing…. However as a brand the quality control is amazing. Thank you. A beautifully written record of a beautiful thing. I just bought my first Rolex, and it’s wonderful to know the history. Every watch devotee in the world needs to be primed with this article!